Shopping for Dark Tower Statues? Travel to another world and find The Dark Tower. Based on the film adaptation of Stephen King's novel of the same name, the legendary characters step off the silver screen and into the Diamond Select line of Gallery Statues. Scaled to match other Gallery series releases, this PVC statue feature Matthew McConaughey's Man in Black posed on a sculpted diorama base. 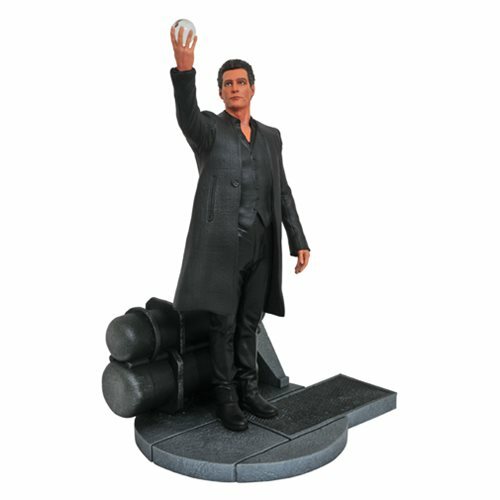 The Dark Tower Man in Black Gallery Statue comes packaged in a full-color window box. Ages 14 and up.